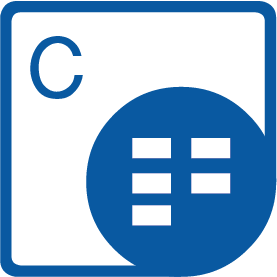 Perform spreadsheet Manipulation tasks as well as Export Excel files to multiple formats without any Microsoft Excel dependencies. Aspose.Cells for PHP via Java is a scalable and feature-rich Excel spreadsheet management and processing API. Applications can perform spreadsheet format conversion, chart management and rendering, implementing formulas, styling of worksheets to the most granular level and much more. API supports XLS, XLSX, ODS, SpreadsheetML, CSV, Tab Delimited, HTML/MHTML, PDF, XPS and other formats.  Developers can easily add the ability to generate, modify, convert and render Excel files in their PHP applications while using the JavaBridge. An overview of Aspose.Cells for PHP via Java capabilities. Aspose.Cells for PHP via Java requires PHP 7.1 (or above) and JavaBridge. It can run on any platform where these requirements can be met. Aspose.Cells for PHP via Java supports the popular spreadsheet formats along with most commonly used image & fixed-layout formats. Aspose.Cells for .NET is capable of converting spreadsheets to PDF, XPS & HTML formats while maintaining the highest visual fidelity. The conversion process is simple yet reliable, thus making Aspose.Cells a perfect choice for the organizations which require to exchange documents in any of the industry standard formats. Aspose.Cells for PHP via Java has its own rendering engine specially designed for rendering with highest of fidelity to the Microsoft Excel. 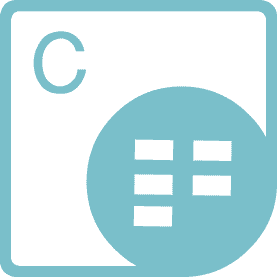 While using Aspose.Cells for PHP via Java, you can convert whole spreadsheets, individual worksheets & charts to a number of image & fixed-layout formats. Aspose.Cells for PHP via Java gives you the complete control over the worksheet's page setup thus allowing you to manipulate Excel worksheet's display options such as page breaks, page orientation, scaling, paper size, headers/footers & zoom level. You may also control the data visibility using freeze panes & print area to suit your application requirements. Aspose.Cells for PHP via Java is equipped with a powerful Formula Calculation Engine that supports almost all of the standard and advanced Microsoft Excel formulas and functions. You can read, set and calculate the results of built-in or add-in type, array and R1C1 reference style formulas. Aspose.Cells for PHP via Java gives you complete freedom and flexibility to furnish your spreadsheets with all kinds of visual effects. The PHP Spreadsheet API allows you to apply formatting to a worksheet, row, column or cell, set fonts with attributes, define cell styling & number formats, add Rich Text and define conditional formatting rules. Similarly, charts and graphics are visually appealing and can give your spreadsheet a professional look. Aspose.Cells for PHP via Java provides a comprehensive set of APIs for creating and manipulating all types of standard and custom chart. Moreover, you may add different types of drawing objects, such as comments, pictures, OLE objects, shapes and controls to the cells. Why Aspose.Cells for PHP via Java?